5. Import (.f below)your pictures; they will be imported and stored in the library you select. Camera connected (a.) 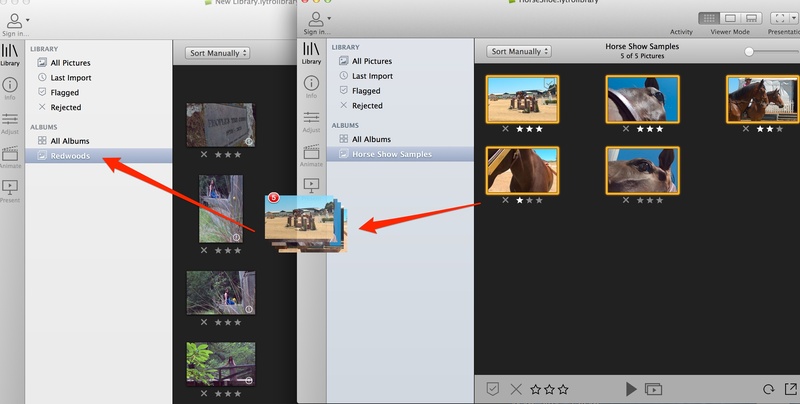 – When your camera or SD card is connected to your computer, the viewing area switches to Camera View where you can select images to import. Pictures in the Camera View screen are thumbnails only and do not display depth-related features like refocus. New/All Pictures Toggle (c.) – “New” displays pictures that have not yet been imported; “All Pictures” displays all pictures on your SD card. 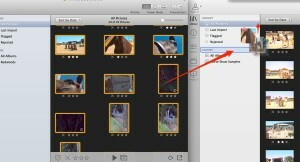 Unchecked – Pictures will do a “Fast Import” and can be processed later, when convenient or as needed. 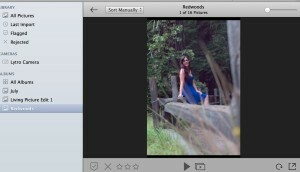 NOTE – Unprocessed preview images don’t have living picture effects such as refocus. “Delete from Camera” (e.) – controls whether pictures are deleted from your SD card after import. “Import All” appears when no thumbnails are selected. “Import Selected” [Mac] or “Import X pictures” [Windows] appears when you have images selected. 4. Your pictures will appear one at a time in the selected Library. 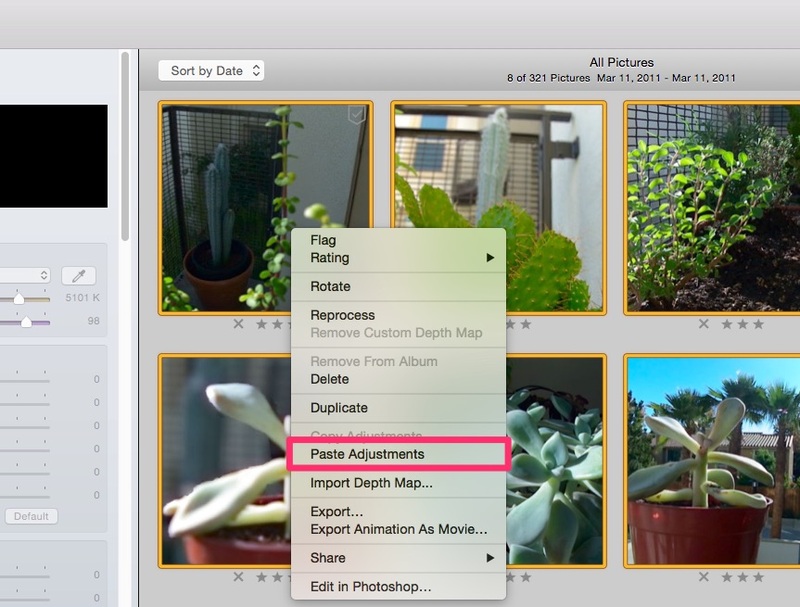 Once your images have imported, you can organize them in albums, use adjustment tools to edit them, or apply animations. 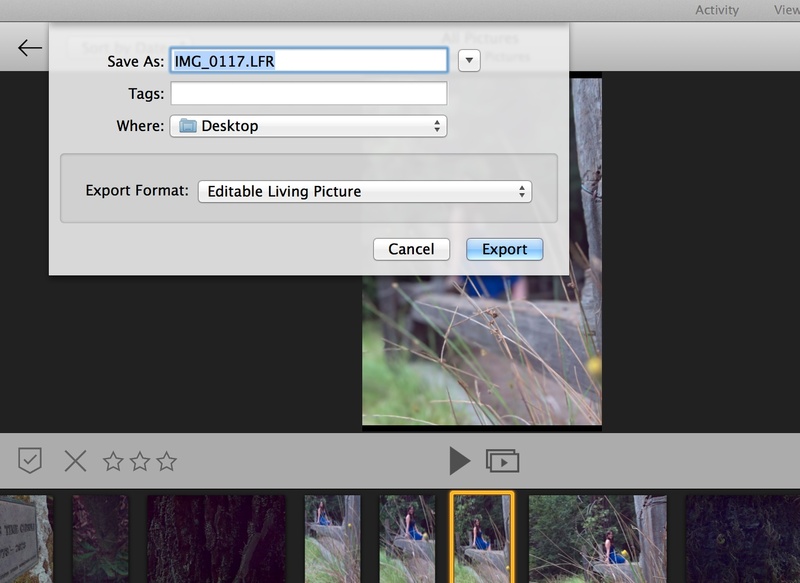 When in doubt, we recommend importing pictures from your camera instead of deleting them. The depth features that are unique to the Lytro experience will often reveal elements within a scene that cannot be recognized in a 2D thumbnail. Lytro Desktop 4’s Library module lets you view and manage your living pictures. To access the Library, click on the Library icon on the left hand side of the interface. The Library is where you can view, sort, rate, flag, and delete pictures. When you open Desktop 4, a dialog box will prompt you to select an existing or create a new library to open Lytro Desktop with. 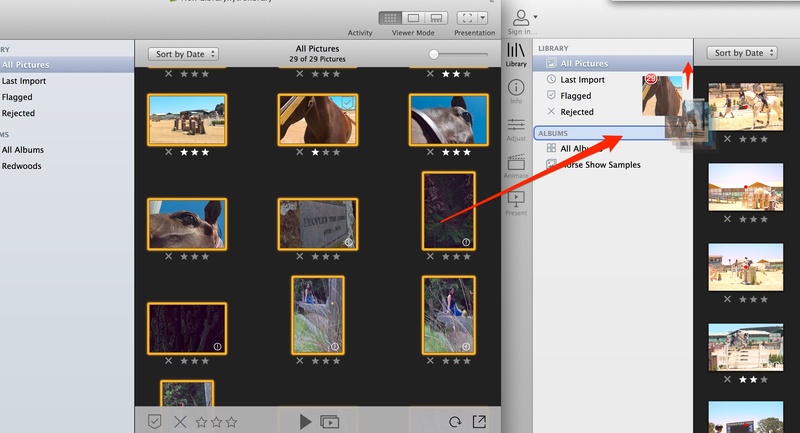 You can create different libraries to store pictures in, and create albums within those libraries to organize your pictures. Having your collection of pictures split among multiple Lytro Libraries may also make it easier to manage backups. You can now start importing pictures from your Lytro camera into your new Lytro Library. 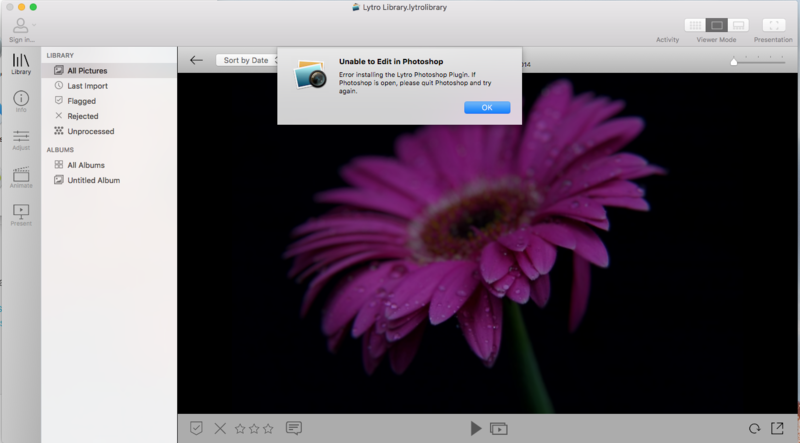 [Mac] You will be presented with a list of all recently opened Lytro Libraries and/or those in your Pictures folder. [Mac] To open a different Lytro Library in another location (e.g. a backup on an external drive), click “Select Other…” and navigate as needed. Select your desired Lytro Library. You may now perform any normal picture or Album operations within, or across, any open Lytro Library as you wish. If you wish to open a Lytro Library originally created in Lytro Desktop 3.0.1 and below, you must first migrate your existing Lytro Library as described below. A new, empty Lytro Library will be created. 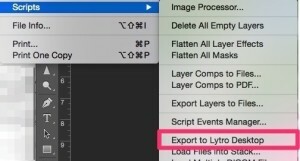 Within that same empty Lytro Library, from the top-level “File” menu, choose the “Import Library…” option. Navigate to the location of your desired Lytro Library (from Lytro Desktop 3.0.1 and below). Please be patient! This can be an extremely resource-intensive operation, and it may be a while before you see any changes on-screen. 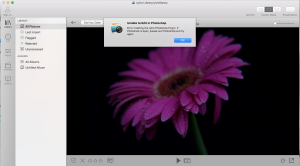 Migrating a Lytro Library to Lytro Desktop 4.0 is a one-way process! Although your existing Lytro Library will be retained on your computer, unchanged, in its original location (until or unless you delete it manually), any new pictures you import into Lytro Desktop 4.0 from your Lytro camera in the future will not be able to be imported or viewed with any version below Desktop 4. Make sure you have enough room on the hard disk containing the target (destination) Lytro Library to contain all of the pictures you wish to copy. Arrange the windows displaying your two Lytro Libraries on your monitor(s) so you can see them both. Select one or more pictures in your source Lytro Library, just as you would when working with Albums within a single Lytro Library. Click and drag the selected pictures until you see a semi-transparent grouping of pictures begin to move. 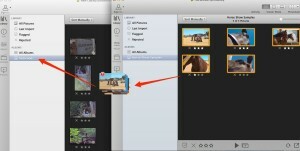 Drag those pictures into the Sidebar of the target (destination) Lytro Library. With “All Pictures” selected, drop the photos into the thumbnail image previews to create a new Album of those pictures. To add pictures to an existing Album, drag the group of pictures over the Album name. NOTE: Please be patient! This can be an extremely resource-intensive operation, and it may be a while before you see any changes on-screen. Make sure you have enough room on the hard disk containing the target (destination) Lytro Library to contain the entire source Lytro Library. Go to the All Pictures view in the source Lytro Library. “Edit” menu > Select All. If desired, you may then delete the source Lytro Library, although caution dictates preserving all backups indefinitely, whenever you have room available. Create a new Lytro Library in Lytro Desktop or choose one that you created previously and want to transfer to a different storage drive. Open your computer’s ‘Pictures’ folder (Macintosh HD>Pictures). Once the file has finished transferring, launch Lytro Desktop on your computer. When the ‘Open Library…’ window automatically opens on launch, click ‘Select Other…’ and locate the library in its new location. 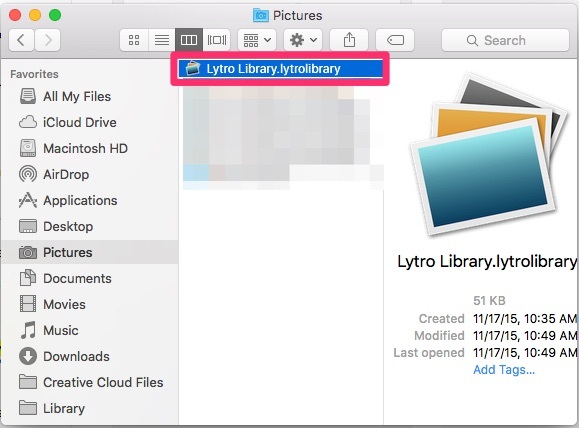 If Lytro Desktop is already open, or if the ‘Open Library…’ window does not automatically open on launch, please select File > ‘Open Library…’ from the top bar. Once the desired library is selected, click ‘Open’. The INFO panel in Desktop 4 displays information about the capture settings used for the selected image. To access Info, select an image by clicking on its thumbnail from any of Desktop 4’s view modes . Then, click the “INFO” icon in the sidebar on the left hand side of the interface. Mode (k.): Capture mode that the camera was in at time of capture. Flash (l.): ILLUM Only. Flash metadata for the Lytro compatible TTL Flash when it is used during capture. Flag (m.): If an image has been flagged, this icon will be illuminated. Flag an image by clicking on the icon, click on the icon again remove a flag. Flagging lets you mark images temporarily. Reject (n.): Rejected images will have the “x” illuminated. Click on the X to mark the selected image as rejected. Rating (o. ): The rating of a selected image. Click one, two, or three stars to rate the image. Caption (p.): Image caption. Click in the box and type to add an image caption. Hit Enter or Return to apply the caption. 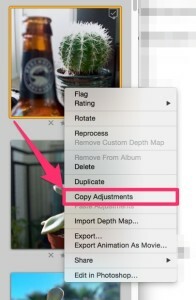 Desktop 4’s “Adjust” Panel contains image adjustment tools for enhancing or correcting your living pictures. This will open the Adjust panel and display available adjustment sections. Select the image you want to Adjust by clicking on it. Sections may be minimized by clicking on the section header. To use the adjustment tools, drag the sliders to the left or right. You can also click on the numeric value displayed next to each slider option and type in a value. Hit “Enter” or “Return” to apply a typed-in value. The Adjust Panel has six sections: Histogram, Color, Virtual Camera, Details, Framing, and Depth Map Editor which we’ll go over individually below. Provides a real-time graphical representation of the tonal range of all the pixels of your image. The Color controls feature image editing tools for adjusting or enhancing your living pictures. 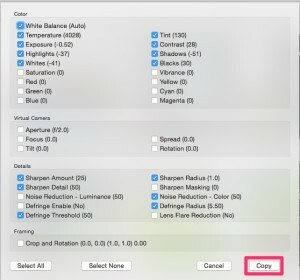 Eyedropper – select a region to set the custom white balance. 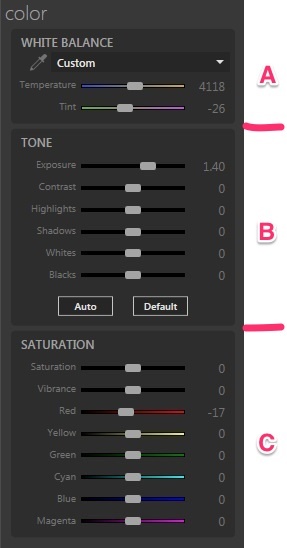 [B] Tone: Exposure and tonality adjustments can be made using these sliders. Double click the numeric value on the right for manual entry; Enter “0” for default value. Exposure – Increase or decrease the exposure of the selected living picture by dragging the slider to the right or left. 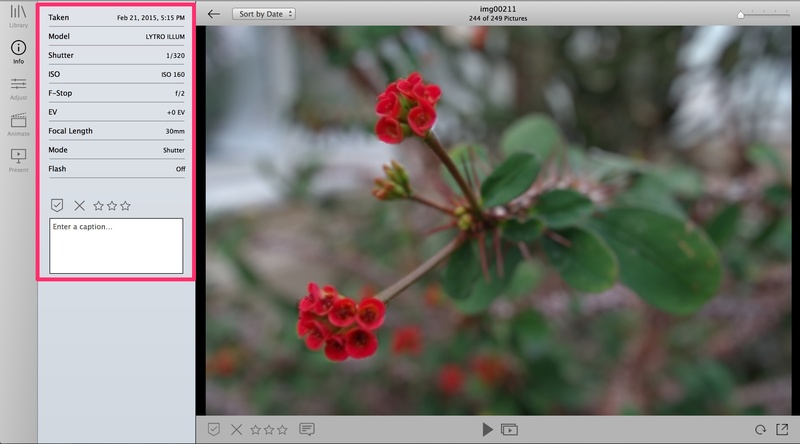 Contrast – Increase or decrease the contrast in the selected living picture by dragging the slider to the right or left. Highlights – Increase or decrease the tonality of the highlights in a selected living picture by dragging the slider to the right or left. This will brighten or darken the highlights in the image. 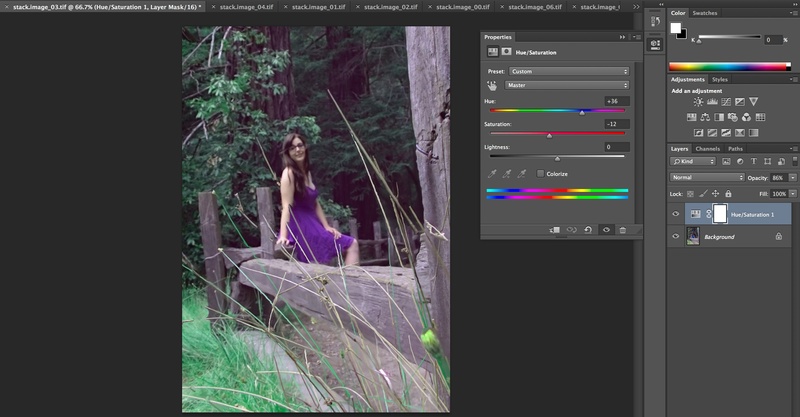 Use this slider to recover blown out areas in an over exposed image, if possible. If the image is over exposed to the point where no data was captured, you will not be able to recover the highlights in the image, and won’t see a change when moving the slider to the left. Shadows – Increase or decrease the tonality of the shadows in a selected living picture by dragging the slider to the right or left. This will brighten or darken the shadows in the image. Use this slider to recover under exposed areas in an image, if possible. If the image is under exposed to the point where no data was captured, you may not be able to recover detail information in the shadows. In this case, when you move the slider to the right, the blacks will turn grey. Vibrance – Vibrance adds contrast and saturation to the more muted tones in an image, without affecting more saturated colors. Virtual Camera controls allow you to adjust the aperture and perspective of your image after capture. The Virtual Camera panel has four sections: Aperture, Depth Map, Focus Spread, and Tilt which we’ll go over individually below. The Aperture slider gives you “virtual aperture control” with an available range of (simulated) f/1 to f/16. [B] Depth Map: Use the Depth Map feature to reveal the underlying depthmap, which controls what happens when you click on different areas of your living picture. TIP – Use depthmap view to quickly identify depthmap errors, which can be repaired in postproduction. Depth Assist – ‘Depth Assist’ checkbox in Focus Spread section must be checked. Click on an area in your picture; the space in front of your click will render blue, while space behind your click will render orange. 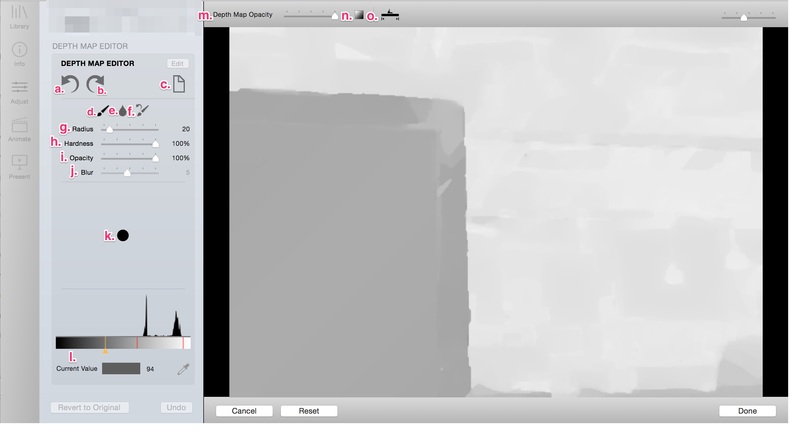 Opacity – controls transparency of the Greyscale, Two Tone, and Depth Assist depthmap overlays. [C] Focus Spread: This tool enables you to pinpoint exactly at which depths the focus begins and ends in an image — like having two apertures in a single picture. For example, create a living picture with beautiful f/1.0 bokeh in the foreground and background while maintaining f/16 sharpness on the primary subjects with a single exposure. Please see our video tutorial for how to use this tool. 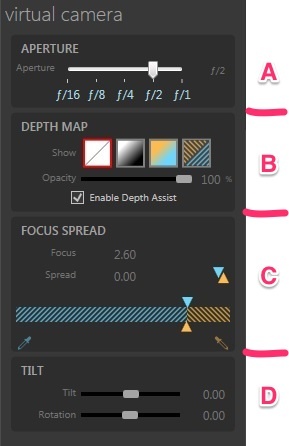 You can also use the Focus Spread toggle control (see diagram above) in the upper right to enable/disable negative focus spread. When overlapped as in this diagram, negative focus spread is disabled. Click once to enable. Tilt – Drag to the left or right to tilt the image around the focal plane. This will decrease depth of field. Use tilt to isolate a subject in a scene. Rotation – Drag to the left or right to rotate the image around the focal plane. This will decrease depth of field. Click on the crosshair target icon in the upper left corner, then click on the area of your photo you want closeup detail. The detail display box will highlight a 1x or 2x view of your selection. 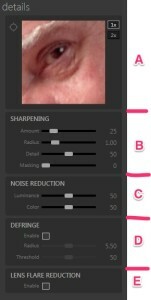 Detail – Brings out finer textures of images by controlling how high frequency data is displayed. Masking – Limits sharpening to more pronounced edges. This article explains how you can make adjustments to multiple living pictures in Lytro Desktop 4 at the same time. Desktop 4.3 allows you to edit the depthmap directly, without 3rd party tools. Save and Process (c.) – Save and process changes to the depth map. WARNING – Saved changes are not reversible. Paint Brush (d.) – Draw on the depth map using selected brush and color attributes. Blur Brush (e.) – Blends portions of the depth map to create softer edges. Undo Brush (f.) – Erases changes made with the paint and blur brushes. Blur (j.) 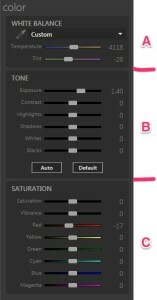 – When the ‘Blur Brush’ is selected, controls the intensity of blurring. Brush Preview (k.) – Displays a sample representation of the current brush settings. Color Selector (l.) – Select the color for the paintbrush tool. The Histogram shows peaks when a color is present in the depth map to help you select the correct/desired shade. Depth Map Opacity (m.) – determines the opacity of the depth map over your living picture. Depth Map Selector (n.) – Select between a Black and White, Only Blue, Only Orange, or Blue and Orange depth maps. Depth Map Expander (o.) – Click this tool to visually expand your images histogram information across the full range of the depth map. This tool assists editors by further differentiating the colors/shades in an images depth map to make editing easier and more accurate. Clicking ‘Done’ will save and exit the depth map editor, changes made to the depthmap will take effect immediately. To use Lytro Desktop’s integrated Adobe Photoshop feature, you must have Adobe Photoshop CC 2014 installed on your computer. If you are using another version of Photoshop click here. Click here if you experience any issues using the built-in Photoshop plug-in. 1. Select a living picture that you want to edit in Photoshop and open it in ‘Single Picture’ view. If the ‘Edit in Photoshop’ selection is greyed out, it usually because an unsupported version of Photoshop is installed on the machine (Photoshop CC 2014 is required). 3. The first time using this tool you will need to install the Lytro plug-in for Photoshop, when prompted select ‘Yes’. 4. Your living picture will open in Adobe Photoshop. 5. If you are making global adjustments – adjustments that affect the entire image – like contrast or saturation – you’ll want to make sure that they are exactly the same for each layer (except for the Depth Map). You can make global adjustments by creating an adjustment layer from any of the picture layers, and then dragging the adjustment layer to the top of the list above the depth map (the depth map will not be effected). You can apply any edits you would regularly use in external editing software. We recommend applying the same changes across all 7 image layers for the living picture to reimport correctly. Once processing is complete your changes will be reflected by the living picture in Lytro Desktop. Some users may see an “Unable to Edit in Photoshop” error. 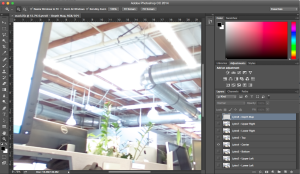 To take advantage of Lytro Desktop’s built-in Photoshop editing integration you must have Adobe Photoshop CC 2014 installed on your computer. 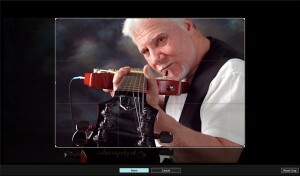 Earlier and later versions of Adobe Photoshop are not compatible with the Lytro Desktop built-in Photoshop plug-in. 1. Use our manual instructions for editing your living pictures in Lytro Desktop. 2. Downgrade/upgrade Adobe Photoshop to CC 2014 (which is confirmed to be compatible with our plug-in). Users running older versions of Photoshop will see the menu selection to “Edit in Photoshop” greyed out, whereas users running the latest version will see the error message in the attachment below. Users with Adobe Photoshop CC 2014 installed can use Lytro Desktop’s built-in Photoshop integration. Lytro Desktop 4 also supports an export and reimport workflow that allows you to edit living pictures in 3rd party editing software. You can edit in any 3rd party program which supports editing TIFF (.tif) files. 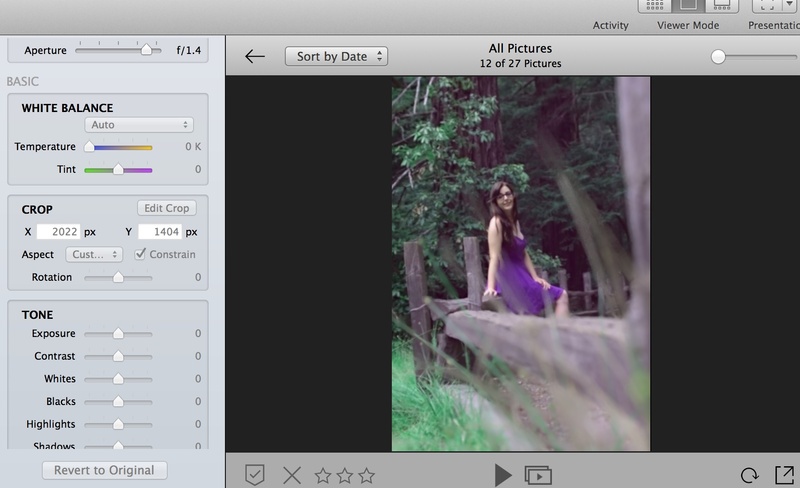 First, import and select the image or images that you want to edit in your 3rd party software into Desktop 4. You must make any desired depth map edits and adjustment changes (in the adjust panel) in Desktop 4 FIRST before making any 3rd party edits. Animations can be applied after re-importing your edited living picture. 4. Select a destination in the “Where” drop down menu for the exported file. Within the chosen destination, Desktop 4 will automatically create a new folder for the exported files. You can not change the folder structure – the 7 tiff stack images and the stack lfp file MUST remain together in the SAME FOLDER for the export – reimport process to work. Once all of your files are exported, you are ready to edit them in your choice of 3rd party software. 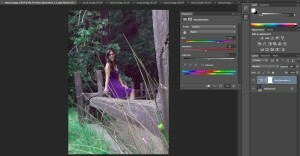 You’ll need a software program that can edit 16bit TIFF files in ProPhoto RGB. 2. Open the 7 TIFF images from the folder with the file name that does NOT say “original” (is ONLY the file name), and make desired changes. 3. You can apply any edits you would regularly use in external editing software. We recommend applying the same changes across all 7 images for the living picture to reimport correctly. 1. 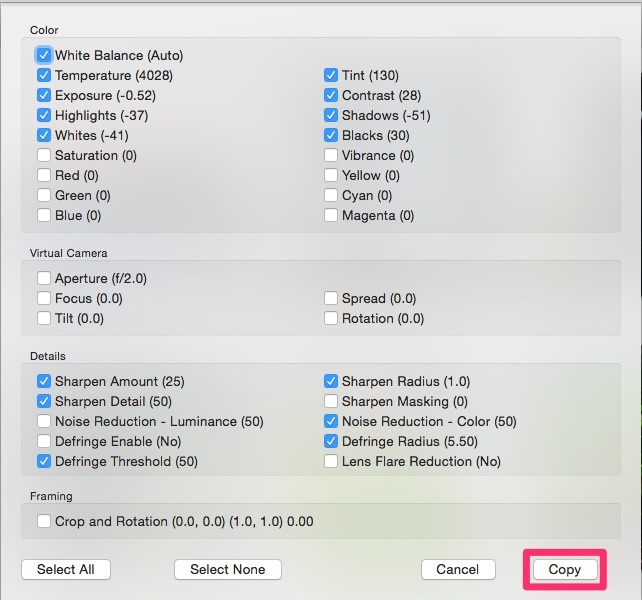 Make sure you are editing 16 bit TIFF images in the ProPhoto RGB colorspace. 2. In Photoshop, flatten your images. 3. When you are finished making changes, save all of your files (choose “save” via the file menu or by hitting command s). Do not change the file names. 5. In Lightroom, export the images, unchecking all boxes, and selecting “original” for all drop down menu options. 5.1 NOTE: You will have to change the Lightroom option for “Existing Files” to “Overwrite Originals WITHOUT WARNING” or you will get an error message when trying to export. Make sure to change this back once you are finished! After saving the changes to the stack lfp files open Desktop 4 to reimport the files and recreate your living picture.